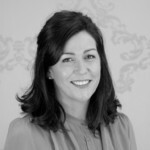 Dr Aoife Beirne is a practicing barrister with a general Civil Practice. She graduated with a First Class Honours LL.B from Trinity College Dublin in 2008, and is a former Scholar. She was awarded an LL.M in Commercial Law from the University of Cambridge in 2009, where she was the recipient the W.M. Tapp Studentship in Law from Gonville and Caius College. She completed her Ph.D. at Trinity College in 2016, which was funded by the Irish Research Council and Arthur Cox. She has lectured at Trinity College Dublin, Independent Colleges, and the Law Society. She has participated in and managed a number of e-discovery projects in major law firms, and has advised state bodies regarding best discovery practice. 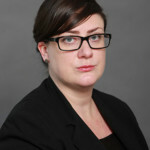 Dr Jennifer Carroll MacNeill is a political scientist and barrister. She was formerly a government adviser at the Department of Justice & Equality, and the Department of Children & Youth Affairs. Jennifer is also a former legal adviser to Enda Kenny. She is also the author of The Politics of Judicial Selection in Ireland. David Coffey has extensive experience in strategic and procurement change and leads a specialist procurement consultancy, Clearview Group. Previous roles include the US Head of Procurement for Takeda Pharmaceuticals and VP of Corporate Planning and Strategic Sourcing with ABN AMRO North America. David has also worked as a consultant with PricewaterhouseCoopers’ Strategic Change Group, and as Director of Services and Supplierforce. Michael Connellan BL is a practicing barrister. 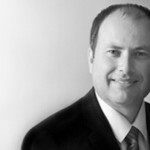 He works primarily in the areas of Labour and Employment Law, Tort & Personal Injury Law, and Criminal Law. Michael holds a Master’s Degree in Criminology and Criminal Justice from the University of Edinburgh. He is also a graduate of University College Dublin and the Honorable Society of King’s Inns. Georgina Corscadden is a leadership and management trainer and executive coach, psychologist and facilitator with over 30 years’ experience in developing people and organisations. Her extensive leadership training and coaching experience stretches across both the public and private sectors, working across all Government Departments and some agencies, along with the EU and its institutions. Georgina has a pedigree of Creating and Delivery to “Leading Edge” standards and international management development programmes for senior business and public sector managers. Her experience, track record, academic grounding and her ethical approach to all her endeavours enable her to work within a wide variety of organisations with success. Andy Cullen runs PAI’s Certificate in Public Sector Corporate Governance. He is a former Assistant Secretary in the Civil Service, where his career focused mainly on corporate governance and regulation in the transport, energy and telecommunications sectors, and strategy and investment in the public transport sector. He has extensive experience in dealing with State bodies and with the EU and international bodies, including serving for a period in Brussels with the Department of Foreign Affairs. Sharon Dillon-Lyons BL is a Barrister-at-Law. She practises in civil litigation, including Tort and Contract Law. She has experience working in policy and compliance with non-governmental organisations, specifically in the legal duties of bodies including legislative compliance with Data Protection, Freedom of Information and Health and Safety. She also has experience of best practice tools to monitor implementation of policies, procedures and compliance with legal and contractual obligations. Garrett advises a large number of public bodies on compliance issues and practices. 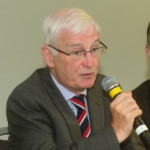 Garrett is a founding Director of Public Affairs Ireland and established a specialist regulatory and public policy consultancy, Fennell Consulting, in 1997. He formerly worked as a public affairs consultant with the ESB. Tom Ferris is an independent consultant economist specialising in public sector governance, better regulation and transport economics. He writes regularly for Public Affairs Ireland. He was previously the Senior Economist in the Department of Transport, until February 2006. Since then, he has undertaken consultancy projects for the World Bank, the OECD, and a number of private sector companies. He is an occasional lecturer in public sector economics at NUI Galway, University College Cork, and Public Affairs Ireland. He holds an MA in Economics from University College Dublin, and a Fellowship from the Chartered Institute of Logistics and Transport. 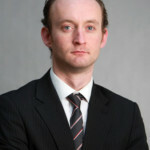 Kenan Furlong has advised on some of Ireland's most high-profile corporate crises in recent years. He advises clients on internal investigations, whistleblowing issues, dawn raids, and money laundering issues. He also advises clients on managing their relationships with various Irish regulators and the Garda Bureau of Fraud Investigation, and on assisting with investigations by foreign regulators such as the SFO, the IRS, and the SEC. Kenan is a regular contributor to the national and international debate on White Collar Crime. In July 2012, he presented to an Irish Government Committee on Ireland's whistleblower legislation. In recent years, he has chaired international conferences in Dublin, Dubai, and Istanbul. In 2014, Who's Who Legal rated Kenan as “among the world's leading Business Crime Defence lawyers”. Kenan is a partner in the Litigation and Dispute Resolution Department of A&L Goodbody and heads the A&L Goodbody Fraud & White Collar Crime Unit. Alison Hand is a consultant, facilitator, and executive coach with over 18 years’ experience working across both public and private sectors. She is an experienced relationship manager with proven programme management and project management skills, with client programmes winning IITD and ISA awards in 2014. 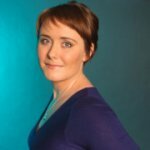 Alison holds an honours degree in Social Science from University College Dublin, a Diploma in Executive Coaching, and a CIPD Diploma in HRM. She is currently working towards her CIPD Award in Digital and Blended Learning. 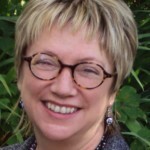 Alison is an accredited MBTI ™ and BarOn EQi™ practitioner. She is also an accredited facilitator of the Career Directions Workshop™. 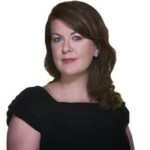 Claire Hogan is a barrister with a mixed Civil and Public Law practice. She graduated from Trinity College Dublin with a degree in Law and French, and was elected a Trinity Scholar in her Senior Freshman year. She went on to attain a Master’s Degree in Law (LL.M.) from the University of Cambridge, for which she was awarded a Cambridge University European Trust Scholarship. In 2009, Claire qualified as a barrister with the highest overall degree mark and became a John Brooke Scholar of the Honorable Society of King’s Inns. Claire returned to the Law School in Trinity College Dublin to complete a Ph.D. on the theme of constitutional freedom of religion. This work was funded by the Irish Research Council for the Humanities and Social Sciences, and supervised by Prof. Gerry Whyte. Claire lectures part-time in Civil Procedure in the Honorable Society of King’s Inns, in Administrative Law in the Institute of Public Administration (IPA), and in Constitutional Law in the Law Society of Ireland. Ashley Hughes is a training and development specialist with over 15 years’ experience working in both academic and management development arenas. Working across public and private sectors, Ashley has designed and delivered bespoke management development training for a range of organisations operating in Ireland and across Europe. Ashley is a qualified practitioner in the Myers Briggs Type Indicator (MBTI), Step 1 & 2, and has used this instrument extensively on open programmes and with in-tact teams. She recently qualified in Situational Leadership in the UK. Ashley currently lectures at the Michael Smurfit Graduate School of Business teaching Management and Organisational Behaviour on the MBA programmes. She is a HETAC-qualified Master Trainer. She is an active member of the associate faculty of the IMI and is a regular contributor on many of their programmes. Lisa Joyce advises a significant number of varied clients, including public and regulatory bodies, national industry and professional bodies, and professional disciplinary bodies on contentious and non-contentious matters of Administrative and Public Law generally. This includes advising public bodies on their powers, functions and duties, matters of statutory interpretation, fair procedures, and legislative drafting, and advising public and private bodies in relation to Public Law litigation, principally judicial review proceedings and statutory appeals and applications. Lisa also has a particular focus on Information Law, advising extensively on Freedom of Information, access to environmental information and Data Protection legislation. Lisa is a Senior Associate in the Public and Administrative Law Unit of the Mason Hayes & Curran’s Litigation Department. 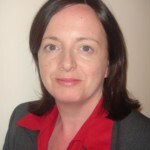 Elaine Kelly practices exclusively in Employment Law. She has presented a number of papers on employment-related and Administrative Law topics, as well as lecturing both to members of the legal profession and to students of Law. She has lectured widely on employment issues including for the Law Society professional education and diploma programmes and at external conferences including Legal-Island. 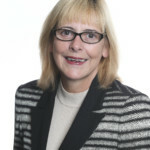 Elaine is co-author of the Law Society Employment Manual and is a Partner in the ByrneWallace Employment Department. 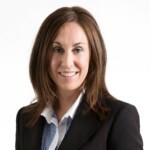 She is a member of the firm’s Knowledge Management Committee. Elaine Kelly is a member of PAI’s Academic Council. 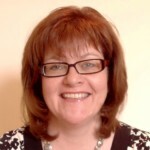 Tina Kinirons develops and delivers training on the topics of people management and leadership, interview skills (for interviewers and interviewees), soft skills, and training (training other trainers). She has held senior management and consulting roles with large organisations before retraining as a business psychologist. Her coaching work in the public sector includes management coaching and interview skills coaching. She holds an MA in Occupational Psychology. Michael Kinsley BL is a practicing barrister and holds a Bachelor of Corporate Law degree and a postgraduate LL.B. from NUI Galway. Since being called to the Bar, he has developed a wide-ranging practice with a focus on labour and employment matters. He has also gained experience in designing and delivering courses in Labour, Employment and Equality Law to students and as part of professional training courses. His article analysing the Protected Disclosures Bill was published in 2013 in the Irish Law Times. 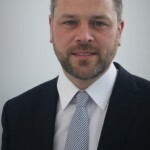 William Maher BL is a practicing barrister specialising in Civil Law concerns including Personal Injuries, and Equitable and Professional Regulatory complaints. He has extensive experience of court procedures and the discovery process. Previously, he worked with Ibec influencing Irish and European decision-makers on behalf of the Irish Food and Drink Industry. 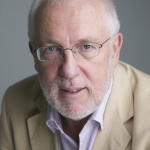 He has lectured on Irish and EU Constitutional arrangements and the Irish and European legal and political process. William Brown is a civil engineer who gained his initial experience with a large main contractor. 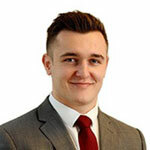 He has seen many of the issues faced by our clients first hand and is able to put his knowledge of construction processes to good use by quickly identifying issues and cost-effective solutions. 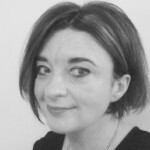 Sarah Marriott is a highly-experienced trainer and former-journalist who specialises in delivering Writing Skills courses for the public and private sectors. 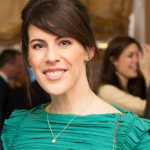 Sarah has worked as a feature writer and sub-editor at The Irish Times. She has also been involved in training Irish Times editorial staff. She is a former lecturer on the MA in Journalism at Dublin Institute of Technology and is author of Common Errors in Written English..
Úna McDevitt B.Comm FCA MScOB develops, designs and delivers training to many of the top public and private sector organisations in Ireland and has been doing so in partnership with Public Affairs Ireland for a number of years. Úna consistently receives excellent delegate feedback from all of her events. Having worked in the public, private and voluntary sectors for many years, Úna has a wide range of experiences to draw upon and, as such, her training sessions are very practical, hands-on, enjoyable, and designed to bring about changes in behaviour that enhance performance. Her training delivery covers a broad spectrum of relevant business topics, including management development, organisational, administrative and time management skills, financial programmes, presentation skills, and interpersonal skills programmes. 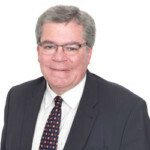 Patrick McGovern is a procurement consultant and former Partner at Arthur Cox, where he specialised in Procurement Law projects for many years. He has written extensively on procurement and is a co-author of a book on this topic to be published in late 2017. He is a First-Class Honours graduate in Law from Trinity College Dublin. Niall Michel has industry-leading experience and expertise in both advisory and contentious matters. Niall's focus is on procedural and other jurisdictional issues, statutory interpretation and drafting, public sector Corporate Governance, Freedom of Information (“FOI”), investigations and inquiries, judicial review and statutory appeals, and contentious public procurement. Niall is a litigation partner on the Mason Hayes & Curran’s Public and Administrative Law team. Niall is an acknowledged expert in FOI, and in information management and disclosure matters generally. Niall’s clients are mainly in the public sector, or public sector-facing. Much of his work is in the areas of sectoral and professional regulation, and professional discipline. He has also advised closely in relation to major statutory investigations and inquiries, and has successfully represented clients as a solicitor-advocate before the High Court, without counsel. 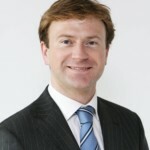 Corné Mouton is a qualified accountant and IT auditor, and a member of the IIA (UK & Ireland). 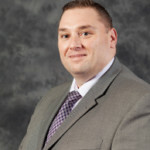 He has over 14 years’ experience within governance, risk and internal control-related services. Corné is a partner within Mazars’ Governance, Risk and Internal Control division, with particular responsibilities in the areas of Corporate Governance, Risk Management, Internal Audit, IT Audit, Regulatory Compliance and Special Investigations. In this capacity, he has led assignments for many large corporate and public sector organisations. Daragh O’Brien has almost seventeen years’ experience in Data Quality and Data Governance roles across a variety of industries. He spent a number of years in roles with operational responsibility for Single View of Customer strategy and regulatory governance in the telecommunications sector. He is a strong strategic thinker, with a focus on improving how people in organisations can use data and information more effectively, as a way to improve the bottom line, society, and personal satisfaction. Daragh has contributed to Irish Government policy development on Data Protection and Data Governance, and Freedom of Information. He is also a regular media commentator in Ireland and internationally on data management-related issues. Richard O’Callaghan has worked at the Department of Social Welfare as a manager and inspector in the Special Investigation Unit. He also held roles with Irish Rail, the Patents Office, and the Department of Enterprise, Trade and Employment. He has a BBS and an MA in Public Administration from the Institute of Public Administration and is both a Chartered Management Accountant and a Chartered Public Financial Accountant. 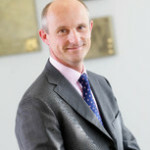 Richard is Director of BizWise Ltd and is the former Chief Executive of a recognised accountancy body. 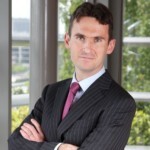 Richard also lectures on Corporate Finance, Audit, Tax and Management Accounting in DIT and IADT. 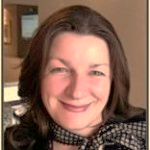 Sile O’Donnell is a HR and Training Consultant, and an Adjunct Assistant Professor in Trinity College Dublin. She has over 25 years’ experience of designing and implementing best practice HRM, change management and training strategies, initiatives and policies in the public sector. She was Director of HR in the Eastern Regional Health Authority for five years and an Assistant National Director of HR in the HSE for five years. She provides a range of HR services – including individual and team coaching, line management and change management training, HR strategy and policy development, employee relations advice and representation – to many organisations and individuals in the public and private sector. Sile is a member of PAI’s Academic Council. John was a Director of the former National Centre for Partnership, based in the Department of the Taoiseach. He was the General Secretary of CPSU between 1988 and 1997 and was also a member of the Executive Council of ICTU during that time. John is a member of PAI’s Academic Council. 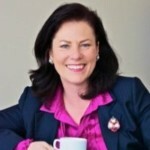 Dr Katherine O'Keefe has a background in academic research, textual analysis and andragogy. Katherine is an expert in Data Governance and Data Protection. She has advised and trained clients in the telecommunications, transportation, education and not-for-profit sectors. 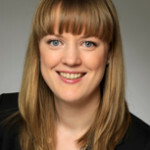 Her writing credits include public consultation documents on Data Governance in the public sector, a chapter on using Agile Data Governance in a regulatory environment and papers on Subject Access Requests, the privacy implications of instant messaging in a medical context, and Information Governance Strategy for the implementation of Health Identifiers. 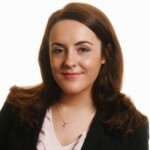 Katherine joined Castlebridge Associates, where she is an Analyst Consultant, in 2013 after tutoring and lecturing at University College Dublin and St Patrick's College, Drumcondra. 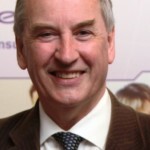 Peter O'Connor works as a consultant, facilitator and coach. He is a leading DiSC Practitioner and, using this tool, he helps individuals, teams and organisations improve communications, reduce conflict and build relationships. He is a graduate of University College Cork. Patricia Pleass is a professional training consultant with almost 20 years’ industry experience in Training and Development. She started her career working in front-line customer service with Aer Lingus, progressing on to become a senior trainer in the Aer Lingus training centre, delivering quality customer care and safety training to front-line staff. She returned to the company years later to manage a cabin crew. She is the owner of a busy preschool and holds a BA (Hons) in Early Childhood Education. Patricia tutors part-time in Early Childhood Education and Care. 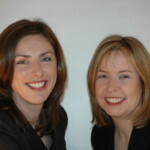 During her career, Patricia has delivered training initiatives to both public and private sector organisations, including Aer Lingus, AIB, Dell, and Bank of Ireland. She has delivered training programmes in areas as diverse as Customer Service, Supervisory Management, Managing People, Proactive Calling, Train the Trainer and Interpersonal Skills. Jim Power is a graduate of University College Dublin. He has worked as Chief Economist and an economic advisor to the Friends First Group. 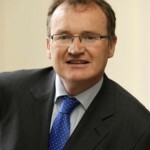 He previously worked as Chief Economist at Bank of Ireland Group and Treasury Economist at AIB Group. He teaches Business Economics on the Executive and Full-Time MBA at the Michael Smurfit Graduate School of Business, University College Dublin. He is a board member of Agri-aware, a food awareness body, and he is Chairperson of Love Irish Food. He is the editor of the Friends First Quarterly Economic Outlook, which has established itself as one of Ireland’s leading commentaries on the Irish economy. He is owner-manager of Jim Power Economics Ltd and conducts economic and financial consultancy projects both in Ireland and overseas. His first book, Picking up the Pieces was published by Blackhall Publishing in November 2009. 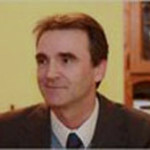 James Sweetman has established himself as one of the pre-eminent business and personal coaches and trainers in Ireland. James has held senior positions in a number of ‘blue chip’ companies, working in the areas of Change Management and Business Development. In addition to his Executive Coaching practice, he regularly facilitates training workshops in Leadership, Management Development Skills, Assertiveness Skills, Presentation Skills, Time Management, Emotional Intelligence and Communication Skills, and Personal Branding. 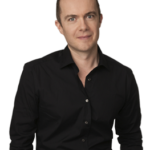 James completed a Masters of Business Administration in 1998, has a Diploma in Business and Personal Coaching, and is a certified Master NLP (Neuro-Linguistic Programming) Practitioner. James has authored a number of books, including Graduate to Success and the e-book How to Excel at Interviews. 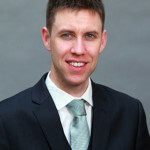 Emmet Whelan has 10 years’ specialist experience in Employment Law and is a regular speaker at employment law seminars for Public Affairs Ireland. He holds BCL and LLM degrees from University College Dublin, a Diploma in Employment Law, and a Certificate in Pensions Law from the Law Society. Emmet has lectured on the Employment Law course at Griffith College Dublin and is a tutor on the Law Society’s Professional Course. Emmet has published employment law articles in the Irish Employment Law Journal, Employment Law Review and the Public Affairs Ireland Journal. He is a co-author of the text book, Employment Law, and the Law Society’s Employment Law Manual. Emmet is a senior associate in the Employment Department of ByrneWallace, and advises some of Ireland’s largest employers. He specialises in advising public sector bodies on all aspects of employment law, equality, pensions and employee benefits.